1:00PM EST 3/4/2019	 Rich Wilkerson Sr. In 1987, our son Graham died for 10 minutes. He had been fussy with what the doctors thought was an ear infection, but it ended up being spinal meningitis. Graham was successfully resuscitated, but the doctors told us, "You should pray that he dies due to the oxygen deprivation." They told us that if he survived, he would likely be severely developmentally delayed, blind, deaf and unable to use any of his limbs. We had just gotten our son back, and they were telling us we should pray for him to die again. But those doctors did not count on the power of our God. I clung to John 11:25 (KJV) in those dark hours: "I am the resurrection, and the life; he that believeth in me, though he were dead, yet shall he live." I claimed that Scripture for my son and believed that God would answer our prayers. Six days later, when an orderly carrying plates nearby dropped them, Graham jerked in the bed and started screaming, startled by the noise. The nurse in ICU started crying and said, "He can hear." A couple of days later, Graham was fully awake, and 16 days later, we took him home. But that was just the beginning of the story. We went from what was normal to a challenge every day. As he developed, Graham's behavior became violent and erratic. At the age of 4, he would run down the street screaming and tearing off his clothes. In church, he would attack other children. At home, he would bring knives into our bedroom while we were sleeping. We had to install special locks all over the house for everyone's safety. Our lives were upside down. It was impossible to take Graham to a restaurant or the grocery store because of his out-of-control behavior. Those years were difficult, but they shaped us as individuals and as a family. God has worked a progressive miracle in Graham's life, and through that miracle, He instilled in our other children compassion and a sense of honor toward Graham that we couldn't have imparted in them as parents alone. Graham has grown more than I would ever have thought possible in those early, frustrating years. But out of those years grew four amazing men of God who are dedicated to one another, to us and to their growing families. Watching my other sons honor Graham as a valued brother and friend often brings tears to my eyes. My sons are all honorable men of God who are working to share His love with others. Graham will always have struggles, but he is so far beyond what any of us could have imagined. He graduated from high school, he has lots of friends who are dedicated to him, and he works at the church. Our life would not be the same without him. Graham is a miracle, and through him, we see that nothing is beyond the power of our God. As a family, we are committed to one another, and part of that commitment is showing honor to one another. This is just a small example of what honor looks like for us as a family. 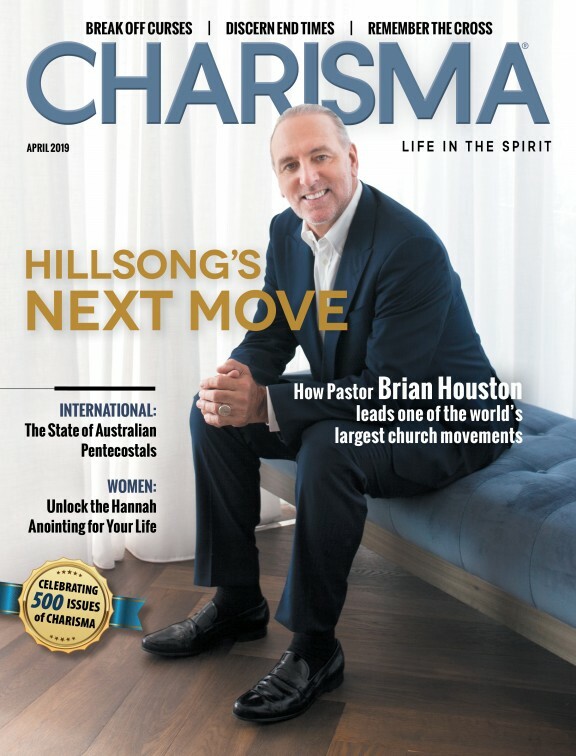 This article is adapted from I Choose Honor: The Key to Relationships, Faith and Life (Charisma House, 2019) by Rich Wilkerson Sr. Wilkerson is the founder of Peacemakers and the senior pastor of Trinity Church in Miami, Florida. He is also an evangelist and author. Since 1973, Wilkerson has ministered to youths and families through evangelism and local church ministry. His humorous style and power-packed speaking have been the keys to seeing thousands turn to Christ. More than 1.5 million students have attended his presentations on over 1600 public school campuses throughout the United States and Canada. The Wilkersons also serve as chancellors at North Central University in Minneapolis, Minnesota. Wilkerson and his wife, Robyn, are ministering in the heart of Miami and continue to be committed to the local community through cutting-edge ministry outreaches. The Wilkersons have been married for over 40 years and have four sons, three daughters-in-law and five grandchildren.